Further evidence that investing in companies making a social & environmental impact can be good for returns. London: 02 October 2018 – EQ Investors (EQ), the award-winning boutique wealth manager, has released its second annual impact investing report. The report shows how its Positive Impact Portfolios achieve long-lasting social and environmental benefits, alongside an attractive financial return. Over the last five years, companies in the EQ Positive Impact Portfolios have on average grown their revenues by 60.4% (annualised at 9.9% per year) compared to 10.3% for companies in the FTSE 100 Index (annualised at 2.0% per year). For the first time, EQ reports on 12 measures of absolute impact which quantify the social and environmental impacts for each pound invested in the portfolios. 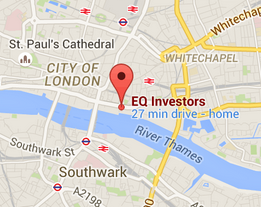 Investors can see the impact of their own investment using EQ’s online impact calculator. Delivered 338 hours of school or university level education. The report also details how the EQ Positive Impact Portfolios align with the UN Sustainable Development Goals (SDGs) and provides case studies of innovative companies responding to these global challenges.